The average marks for the boys and girls was 82. The average for the boys was 79. The average for the girls was 86. There are 15 girls. 20 boys and 15 girls = 35 children. The average after Nicole took the test was 82.5. 82 – 79 = 3 here what is 3? 89 is total class average and 79 is only boys average then 3 regards? The boys’ average of 79 is lower than the class average of 82. There are 20 boys so 20 x 3 = 60 marks must be made up by the girls, whose average score is above the class average of 82. The girls’ average is 86. 86 – 82 = 4. 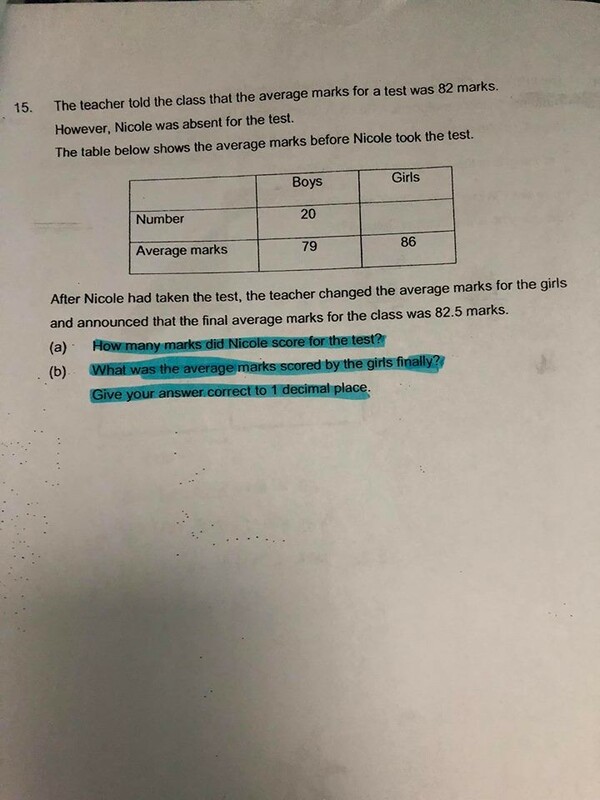 60/4 = 15 girls.